Ever wished your battery bank was more than just the backup power plan? You are not alone. I had these thoughts for some time as well. Mostly, because I have more devices that need charging than I can count. One particular use became apparent after my wife left for China 3 months ago leaving her car behind. It’s fair to say that not many batteries can survive that! About the same time, guys at Audew reached out with a perfect solution! They must be mind readers! 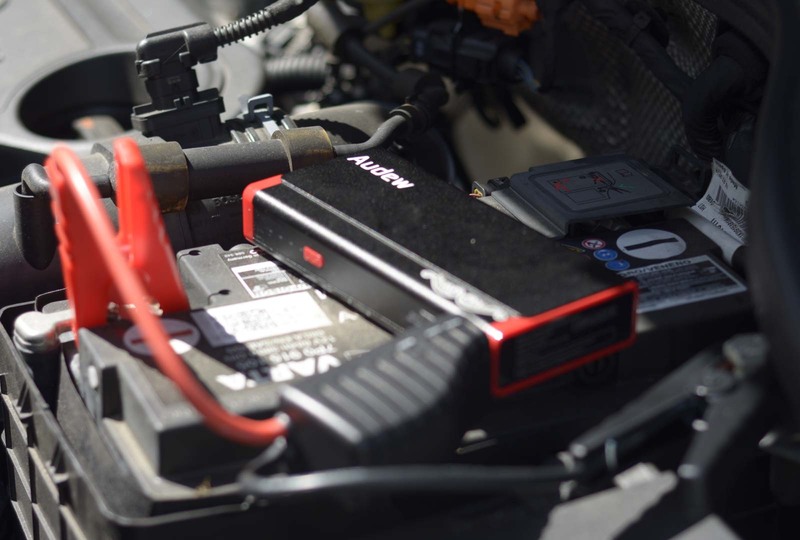 Before we jump into the car stuff, let’s take a look at the Audew Jump Starter Battery bank itself. Enclosed in a heavy-duty metal case, sports a light (solid and emergency flashing mode) -super handy when you are stranded at night. Two USB ports (1A and 2.1A respectively) 12V DC output (for the car socket) and the extra socket for the jump leads. I’d love to see higher rated USB port’s if I’m honest or an inclusion of the USB-C. I’m going to point this out to every single product I have on my hands. The sooner we have the transition the better for all of us! While on the subject of charging – here comes probably the biggest criticism of the Audew Jump Starter Battery. It comes with a proprietary charging. The battery charges in a couple of hours thanks to the 15V charger, however, I believe the Audew missed the mark greatly. 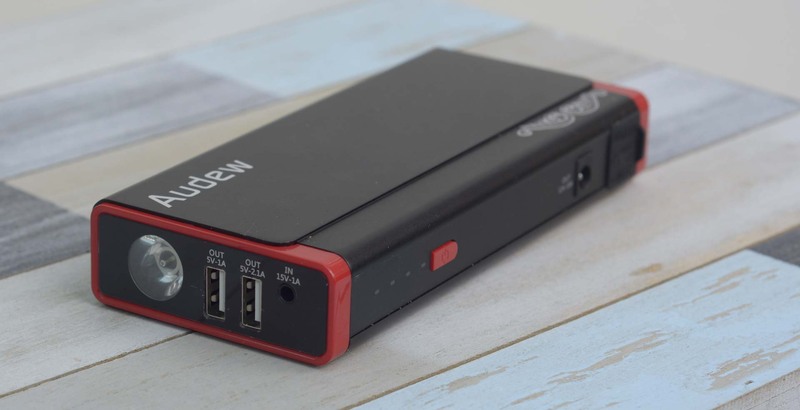 I’d totally imagine taking this battery bank with me on holidays (leaving the adapters and jump leads in the car), and using it as my primary power back up solution (I’d forgive its weight) if I didn’t have to carry the additional charger. Integrating the traditional USB (USB-C?) charging solution would encourage me to take the battery with me, and keep it charged on the day of my return – just in case! 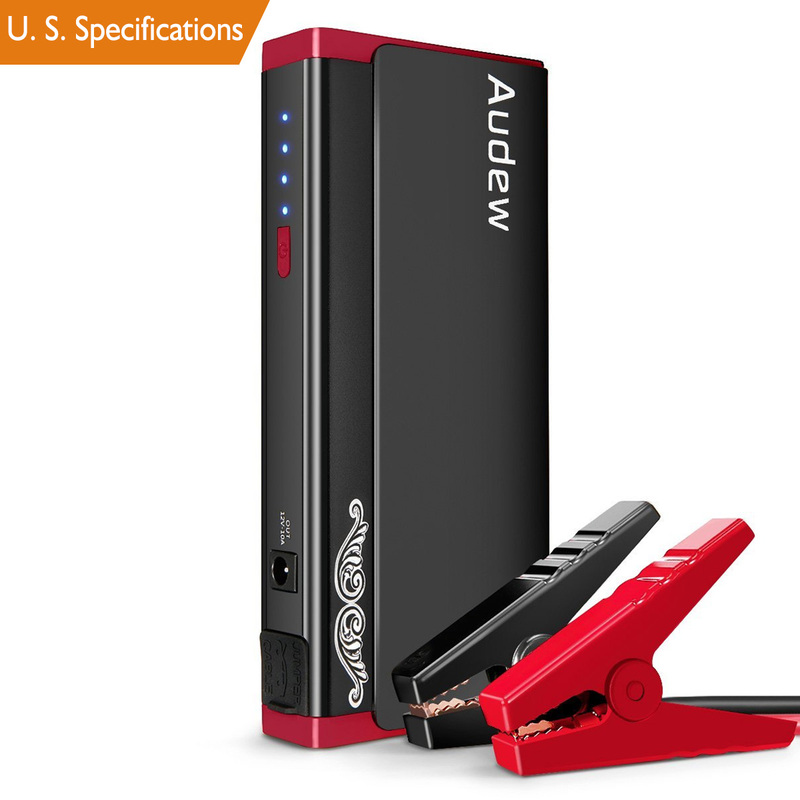 I always travel light so the fully charged Audew Jump Starter Battery will end up in my boot – as a backup. The jump leads are well made and come with reverse polarity protection. You can jump-start pretty much any personal vehicle (up to 4L Diesel – 6L Petrol ) with this version. Stronger versions are available for van and truck lovers. The procedure is simple, connect the positive lead, negative lead, press the boost wait 30 sec and you can go ahead and start your car. 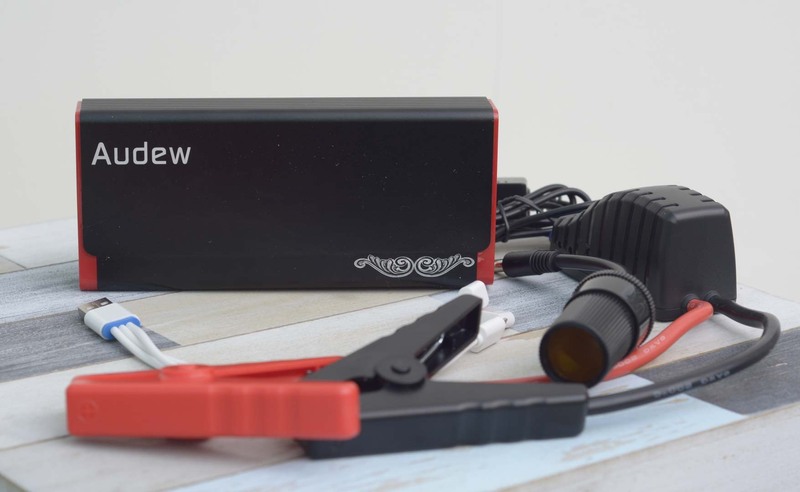 In the UK recovery callout charges can apply, and will be possible even more expensive then the Audew Jump Starter Battery pack alone so this could be a perfect investment if you never want to find yourself stranded with a dead battery. One thing I have to notice before closing this post. The review battery has failed on me after 2 weeks. I was no longer able to charge the battery (charging circuit shot) however the replacement has been promptly arrangement and couple of weeks into testing – it holds up ok. I’m willing to give the benefit of the doubt to the Aukey, as they were genuinely helpful in troubleshooting the fault and arranging very quick replacement but do take this in the consideration. 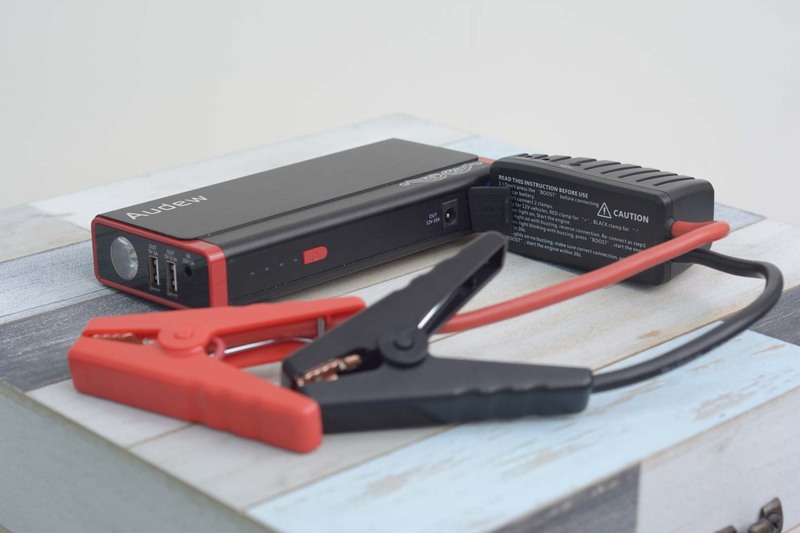 I’d love to see USB-C reversible charging port on the Audew Jump Starter Battery. It would be such a robust gadget to take with you on holidays. It’s still a great tool for any petrolhead. I hope that the improvement will be made in the v2.0. For no,w you can grab yours on Amazon and never get stranded with a dead battery! 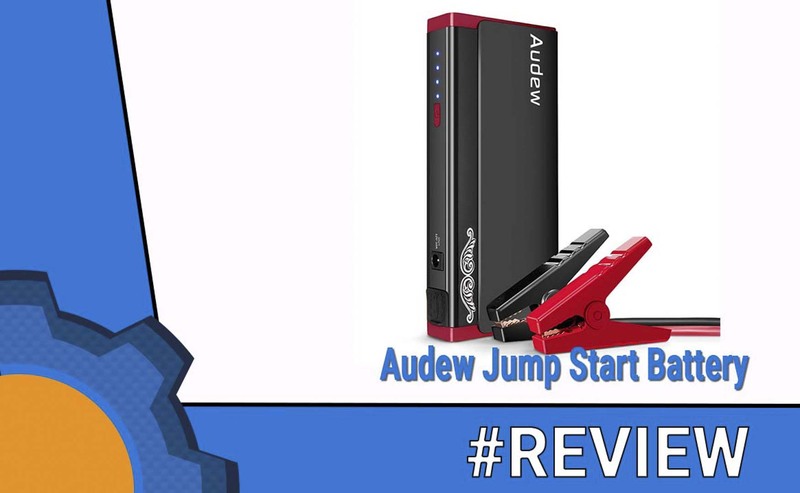 The Audew 13800mAh Battery Booster 500A Portable Car Jump Starter has been provided to me for the purpose of the review. As usual, with all my reviews I reserve the right to an honest critique of the product.